We loved the HD2 when it appeared last month, and as our review attests, it's one heck of a smartphone. So it's good news that it's finally coming to the UK on an official carrier, with Vodafone offering it on 18- and 24-month contracts. Both deals will give you a free phone (which is retailing for only £500 SIM free) although you'll have to pay at least £35 a month on the two-year deal, and £40 for the 18-month version. However, this includes unlimited internet and email and more minutes than you could shake a virtual-timekeeping stick at. The former element is particularly useful, as the HD2 allows you to broadcast your 3G signal, with the phone functioning as a wireless router. 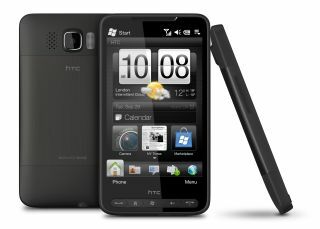 We're glad to see the phone appearing in the UK, and it will be interesting to note which other networks offer it too.